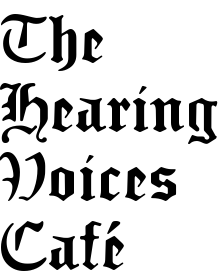 Hannah Weiner was a poet very close to both the Beatnik generation and the New York avant garde of the 70’s and 80’s who had a very special version of the condition known as “hearing voices”. She “heard” three voices, but did not really “heard them” but rather, saw them in the form of text, all over the place, on wall, windows, furniture, people, sky, parks. Her “clairvoyant journal” is poetry made of the transcription of these texts she hallucinated.